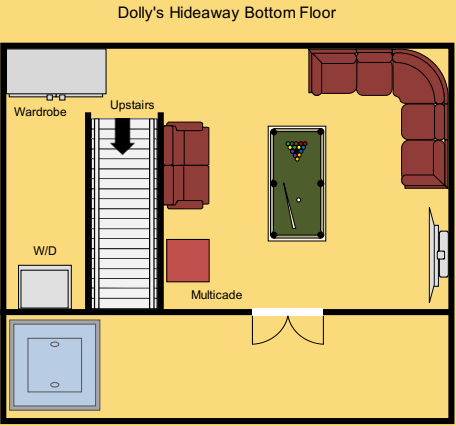 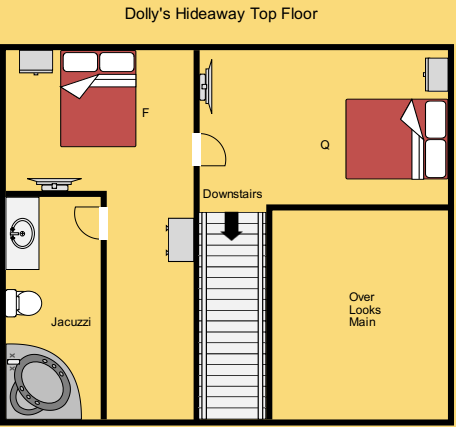 If views of Dollywood and privacy are what you are looking for in a Pigeon Forge Cabin Rental then Dolly's Hideaway is for you. 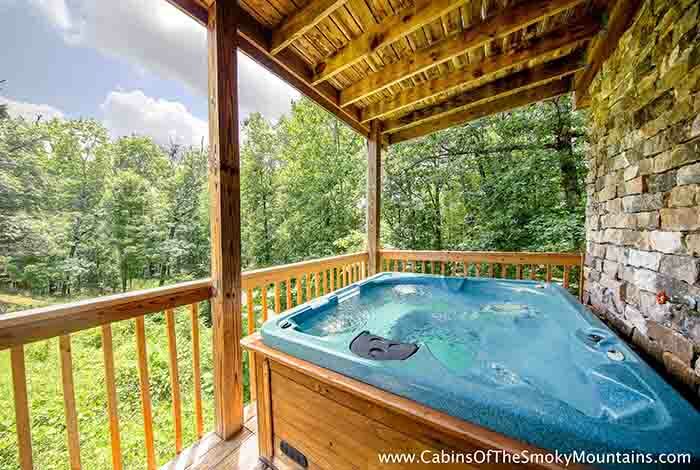 Perched amongst the trees this spectacular cottage is the perfect cabin rental to relax and enjoy the views of The Great Smoky Mountains National Park. 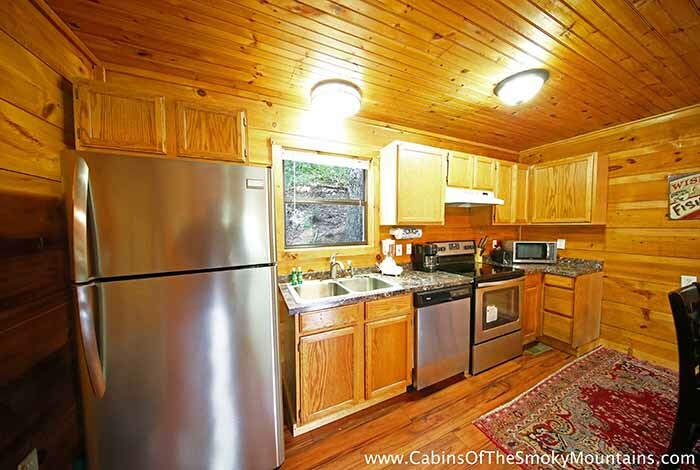 The ideal location gives you the tranquil setting of a mountain cabin rental while being just minutes from Pigeon Forge and downtown Gatlinburg. 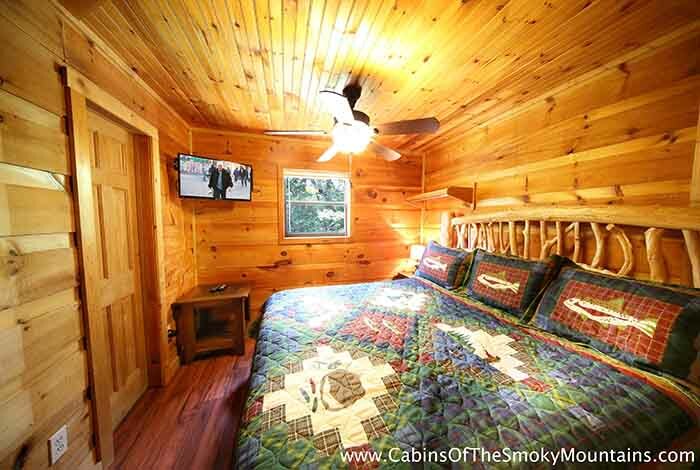 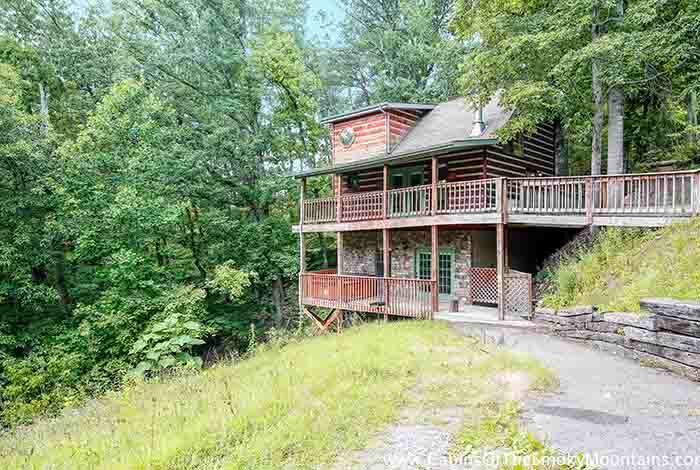 This cabin is actually walking distance to Dollywood! 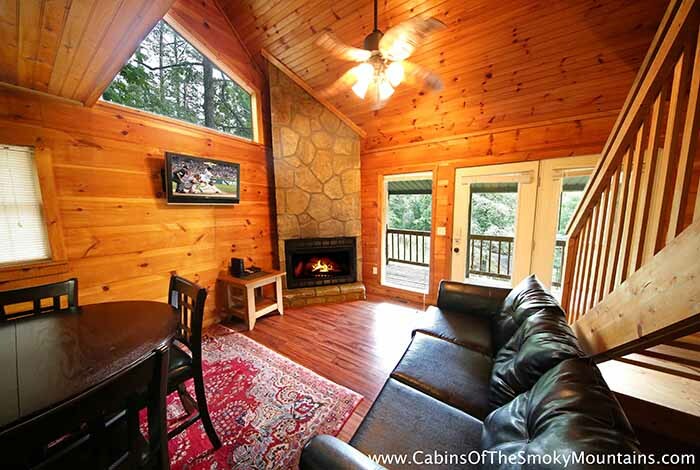 The deck overlooking the mountains allows you to enjoy the outdoors in comfort. 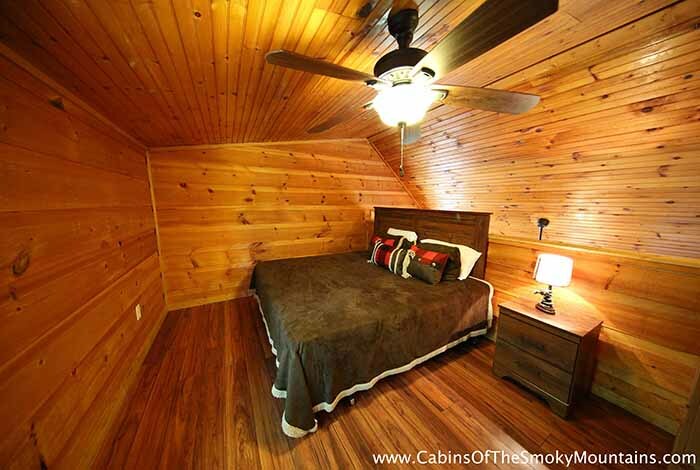 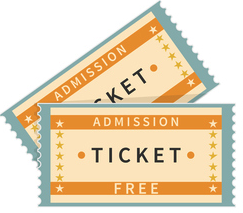 And when you are ready to experience all Gatlinburg and Pigeon Forge has to offer you are only a short drive away. 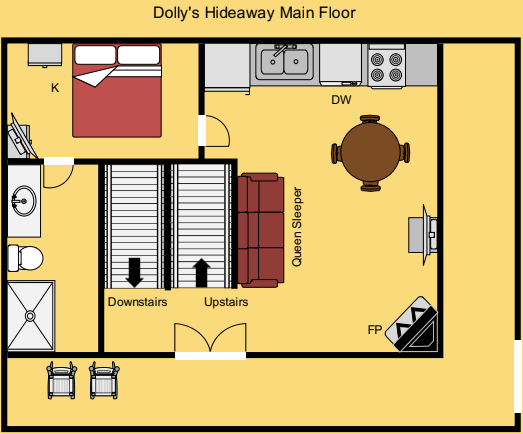 You can ride roller coasters at Dollywood, dine at Dixie Stampede or spend time at Ripley's attractions, all of which are just minutes from your Pigeon Forge cabin. 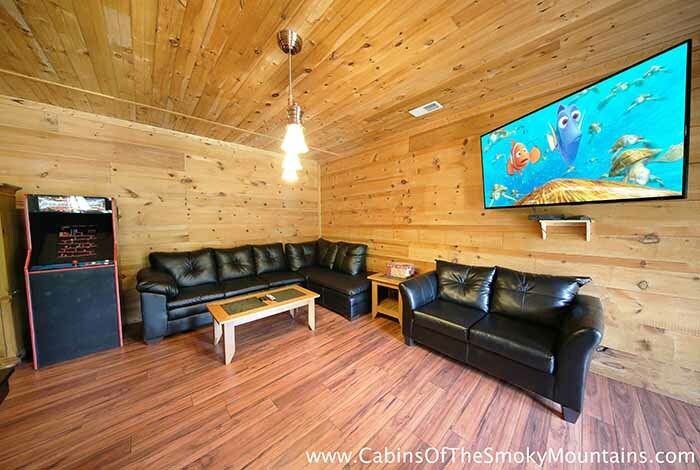 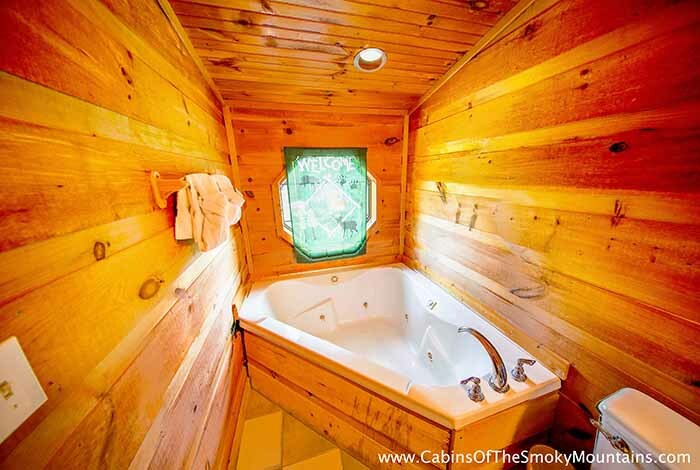 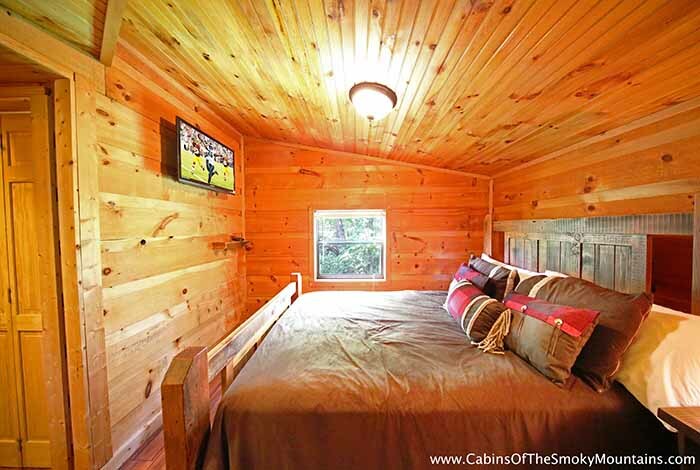 No matter what you choose to do, don't gamble with other cabin rentals stay at the sure bet Dolly's Hideaway, it will leave you speechless while feeling like royalty.